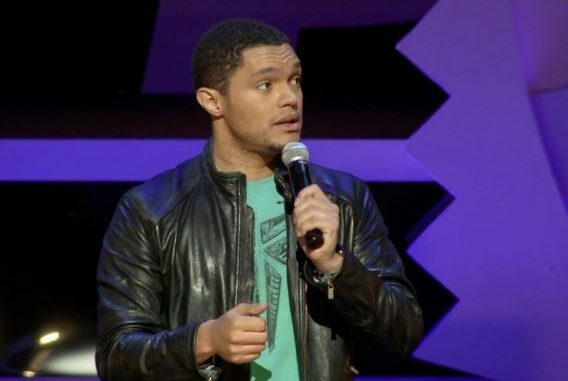 Funny man Trevor Noah has stirred an hornet’s nest among South Africans after news broke out he recently adopted an orphaned American boy aged 4. The South African comedian, who is currently based in America where he hosts the Daily Show, adopted little Mike a few weeks ago after he ‘fell in love’ with the boy after visiting an orphanage. South Africans did not take kindly to the gesture though with many criticising Trevor for adopting a white boy from America when there are millions of black suffering kids back home in South Africa. One Twitter user did not have any kind words for Trevor, calling him a wannabe American and sellout. It was not immediately ascertained if Trevor Noah’s girlfriend will play a part in the child’s life. LiveMonitor tried to contact Trevor through his agent but the agent refused to comment saying he is not concerned about what Trevor does outside his work. “Ask me about upcoming projects, not what Trevor had for lunch”, he said and slammed the phone. Close relatives have however said Trevor is smitten with the young boy and had even started to teach him Xhosa so that when they visit South Africa, the boy would know the basics.